Sound is a vibration of air moved by a particular source. The vibrations in the air set the tympanic membrane in our ear in motion and so we hear sound. It has a pitch and loudness. The pitch is the frequency or number of vibrations per second and is measured in Hertz. The human ear can hear frequencies from about 20 Hz to nearly 20,000 Hertz. The volume is the level and is expressed in dB. The decibel is named after the bell, named after Alexander Graham Bell. A decibel is one tenth of a bell. However, the bell is a little-used term. The dB scale starts at 0 and goes to about 140. The scale of the noise level in dB is logarithmic and gives ratios. In addition, 0 dB means that there is no difference. The ratio is than 1 (on 1), so equality. An increase of 10 dB is perceived as twice as loud noise. A reduction of 10 dB is experienced as a halving of strength. If the sound is reduced from 50 to 40 dB in your home it is perceived as half as loud. Noise cannot simply be add up. If a vacuum cleaner produces 70 dB, then it is not true that two cleaners together produce 140 dB. This means that 3 dB doubles the loudness is. Each increase of 10 decibels means an increase in power by a factor of 10. An increase of 20 dB thus means a factor of 100. An increase of 30 dB a factor of 1000, etc. On some machines is the noise given in LWA and LpA. LWA gives the sound power level of 'the source', so the machine. 100LwA means 100dB (a) at 0 meters. Lpa shows the sound pressure level measured at the operator position. A stands for the scale used, the first invented and widely used was called A. 192 dB can lead to death. Maximum exposure duration at various levels without the risk of hearing damage. Perform a conversation (60 dB) in a nightclub (100 dB) will damage your hearing and your vocal chords, and you would have to go home after 20 minutes. How social can a party or disco be? In the inner ear is the cochlea containing a lot of tiny hair cells that respond to sound and pass it on to the brains. Some are sensitive to the bass and treble and others for high frequencies. With prolonged exposure to noise these hair cells can die. Usually these are just that hair cells which are important for the speech range. It happens gradually. It starts with problems with intelligibility in noisy situations (parties, ..), then it becomes difficult even to understand a conversation in a quiet environment. The hair cells are damaged forever and hearing aids hardly help to improve intelligibility. This is called noise deafness. All too often organizers and DJs think that music is better if it’s louder, or that their music has to outdo every other sound amply. They take no responsibility, and find that those who come, eventually should use earplugs. If you do not provide your own protection, you will be mistreated and (permanently) maimed. Loud techno music in the car, in the club or at concerts is harmful to the lungs. The heavy bass beats can cause a pneumothorax. That discovery is made by ​​a number of researchers from the University of Brussels (VUB). "The heavy bass make the lungs vibrate. The frequency and the volume loud causes cracks trough witch the lungs can collapse. Especially among smokers, the risk is big." The study shows that 85 % of the 19 to 20 year olds suffer from temporary tinnitus after going out. 15 % of this group are experiencing even a constant ringing in the ears. 80 % of the surveyed young people are using portable audio players: 24 % of them listen more than 15h per week and 45 % of young people have a sound intensity of 75 to 100 % of the capacity of the unit. 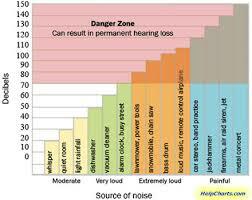 Also, exposure to loud music while going out or during concerts and festivals contribute to hearing loss. The speed of sound depends on temperature, moisture, etc., and in air is approximately 343 meters per second or 1,234.8 km / h. In denser materials sound travels faster. When an airplane is flying faster than the speed of sound it produces a shock wave. It breaks the sound barrier Mach 1: This may be about 340.17 m / s or 1224 km / h.